The Boronia Award is for Good Service in the Local Area. The descriptor and delegation guideline for the award is listed in the table below. This award is designed to be a statement of recognition for good service at the local area. Recipients of this award provide service to Guiding through consistently achieving the outcomes of their own role as well as providing support on a regular basis to other volunteers. They work on activities and events and demonstrate effective leadership within their primary role. 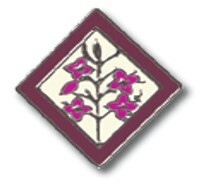 They provide encouragement for Girl Guides Australia to grow in the local community. Those recognised with the Boronia Award are a role model to Guides, volunteers and the local community, consistently living the Promise and Law and abiding by the Code of Conduct. How does this award meet needs? Is nominated and awarded locally.